The Gro Company is thrilled to unveil its highly anticipated collaboration with much-loved British artist, Rob Ryan. Famous for his fantastical storytelling and playful designs he has truly showcased his signature style across the new whimsical collection of bedding created exclusively by The Gro Company. 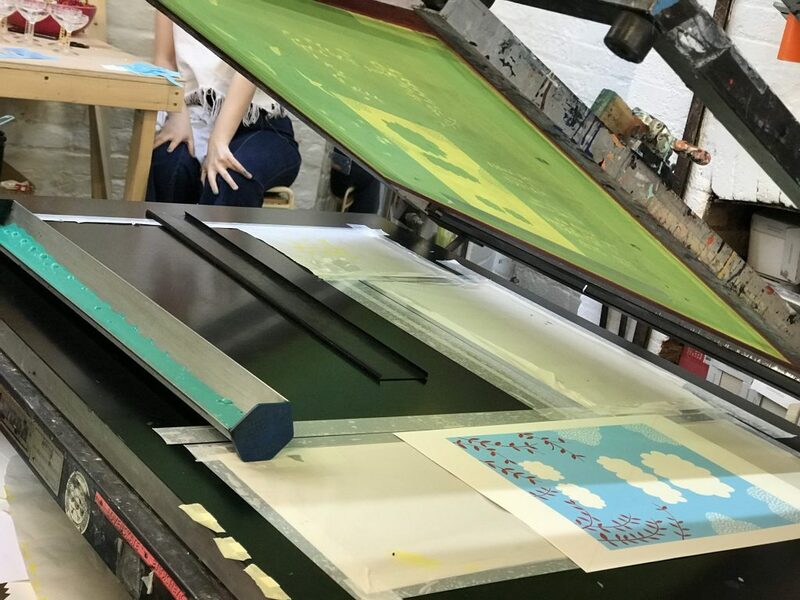 We got to visit his home and personal studio this week in conjunction with the launch to see everything in full motion and hear from the man himself about this exciting new collaboration. 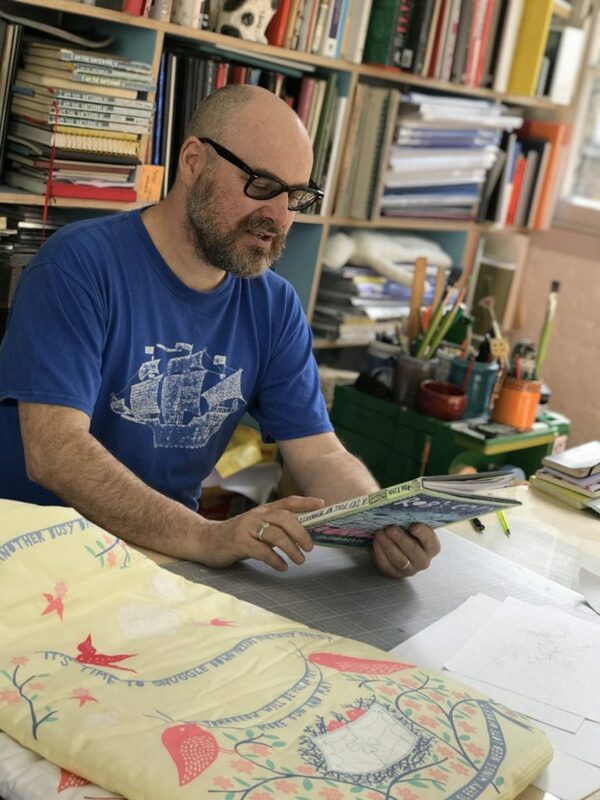 Using the Grobag as his canvas, Rob Ryan has created an original piece of artwork, which the Gro Company has transformed into three different prints, across nine products. The designs include Summers Day, Spring Morning and Night Fall. Rob’s artwork has not only been inspired by babies, but also the security bedtime brings and the tender moments families share at the end of the day. 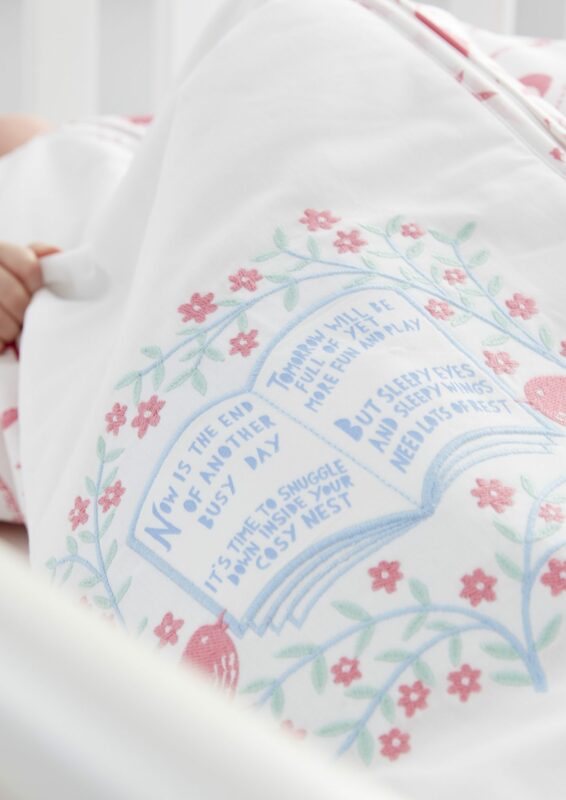 Created especially for The Gro Company, the intricate sketches truly illustrate a beautiful bedtime story. 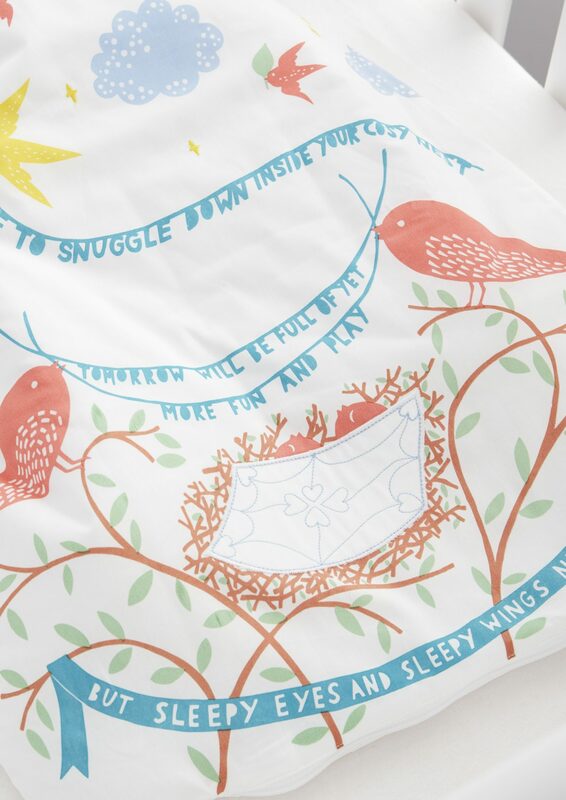 Telling the charming tale of two young birds snuggling down in their nest for a good night’s sleep, Rob’s artwork has magically been translated by the Gro Company into three themes. A Summers Day features embroidered stars and delicate handkerchief appliqué, in a summery palette. Spring Morning features delicate blossom and white fluffy clouds. Finally, Night Fall captures Rob’s love for silhouettes and shape in tones of blue with delicately embroidered mustard stars. 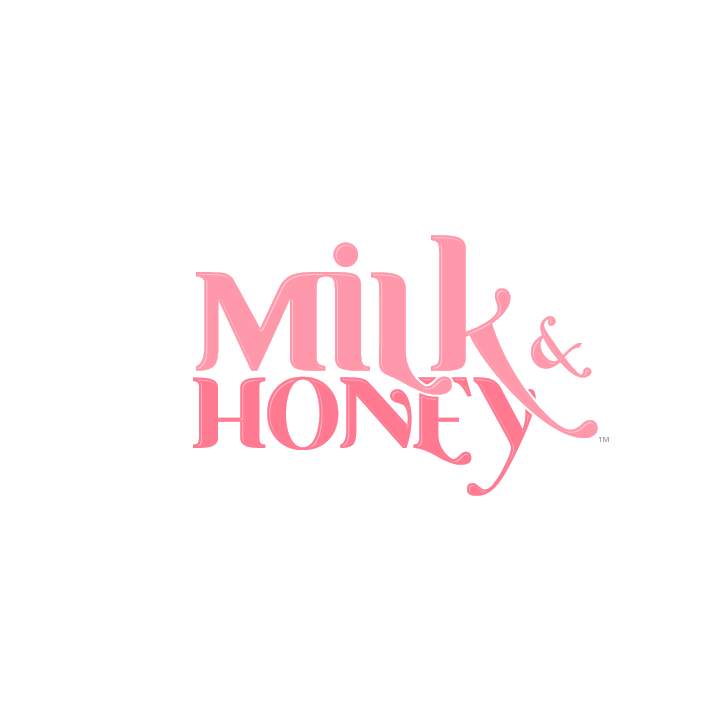 This new partnership follows Gro’s hugely successful collaborations with Orla Kiely and Anorak and is sure to be another hit for the UK’s leading baby sleep brand. 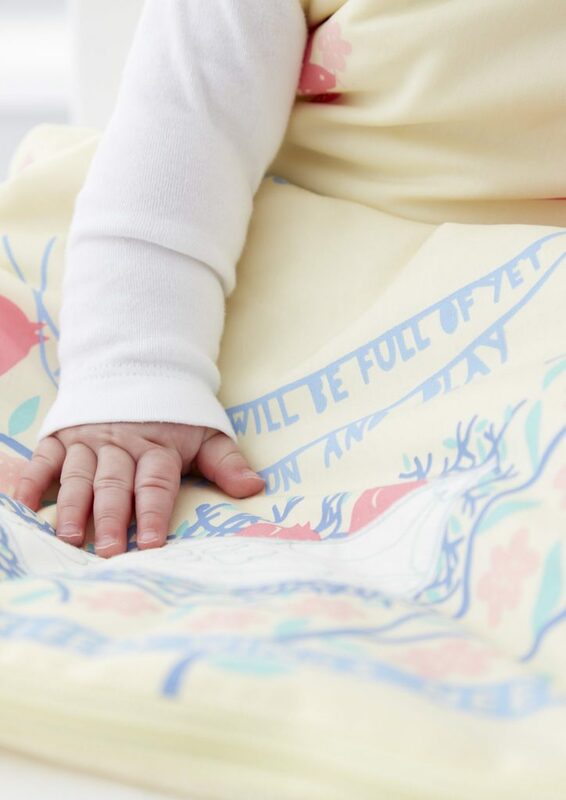 The three designs will be featured across two of the brands best-selling products including, six Grobags and three Grosnugs; available exclusively at Mothercare this summer.